In an era when performance cars were becoming increasingly heavy and overburdened with useless gadgetry, Mazda set out to redefine their flagship while remaining true to the principle that less weight equates to higher performance. 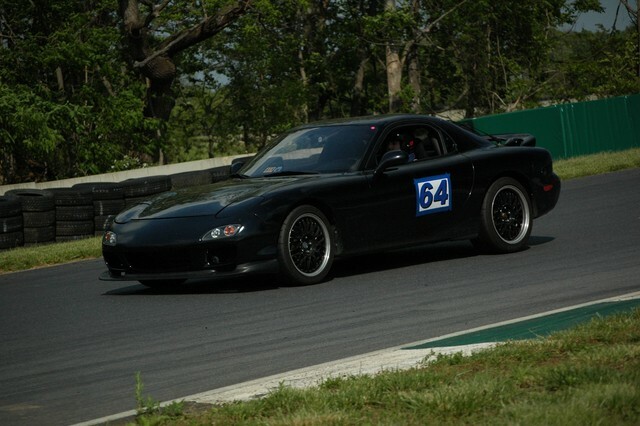 The 3rd generation RX-7 was born from this ideal as a thoroughbred track rocket with no consideration given to the unnecessary weight of electronic gizmos or luxury accomodations. Showcasing the 13B-REW pistonless Wankel rotary engine, the RX-7's tiny 1.3 liter powerplant cranks out 255 horsepower in stock form and has huge tuning potential. This high-revving, lag free sequentially twin-turbocharged lump is mated to a snappy 5-speed gearbox with Torsen limited slip differential in a lightweight, aerodynamic package. Additional use of lightweight materials such as 14-pound alloy wheels, an aluminum bonnet and aluminum suspension components yields a perfect 50/50 weight distribution. Combined with front and rear independent double wishbone suspension, the cornering ability of this car in factory trim is nothing short of supercar status: .99g on the skidpad. With this RX-7, Mazda created a new paradigm: an affordable that could rival the performance of an exotic. Built to race and win against the 911s and Corvettes of the day, that's exactly what this radical little machine achieved. 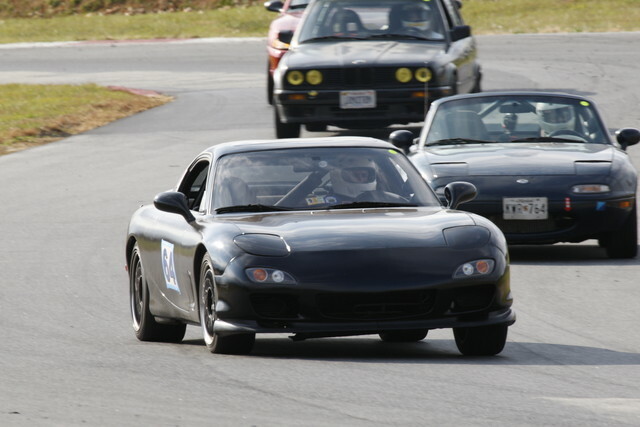 RX-7 Owner's Club - The largest North American RX-7 Forum for all generations. Armitage's Galant VR-4 Page - My other toy.